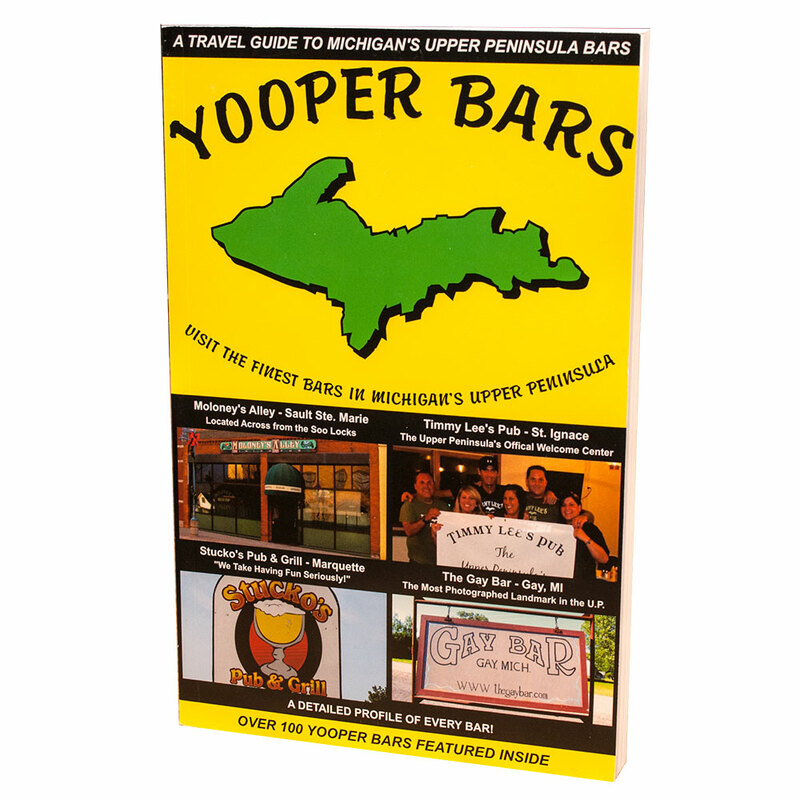 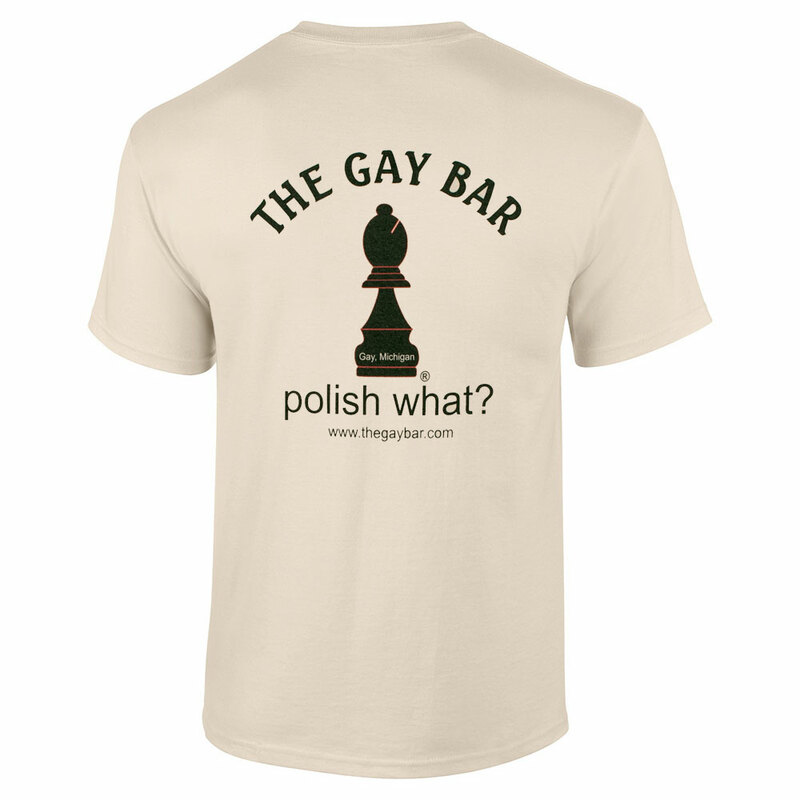 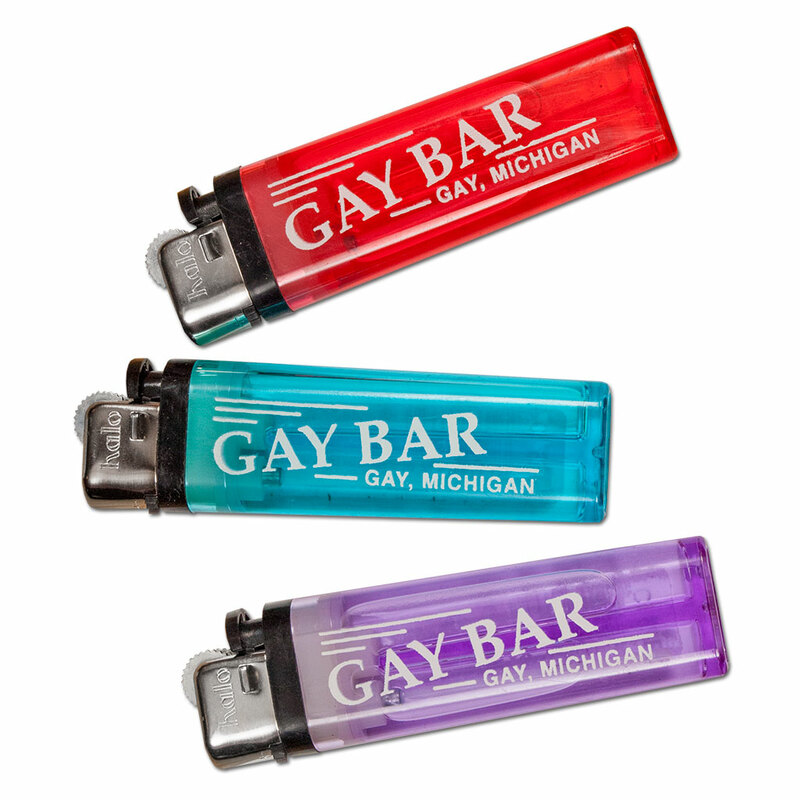 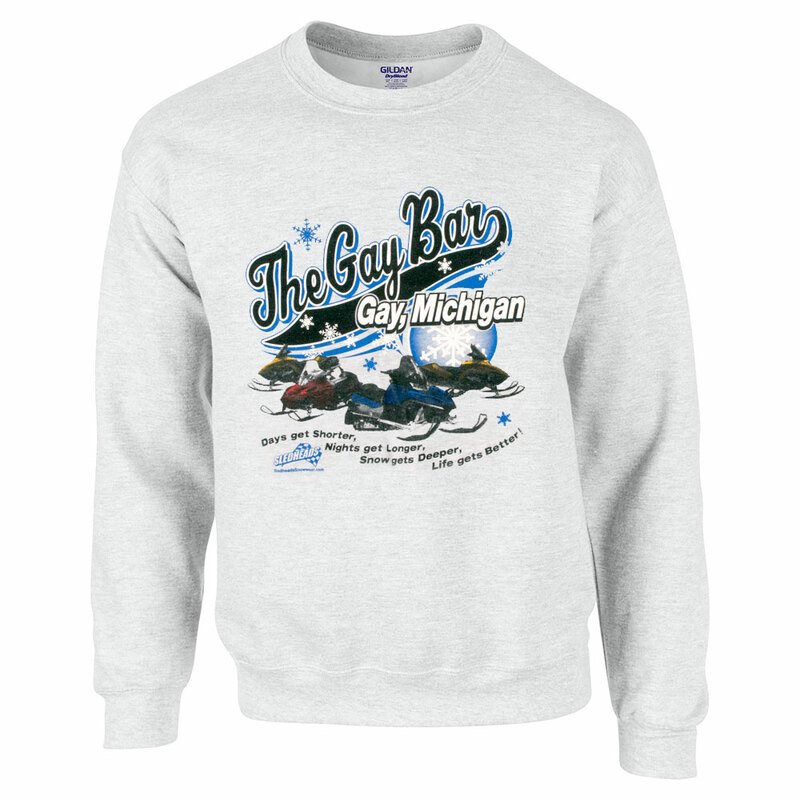 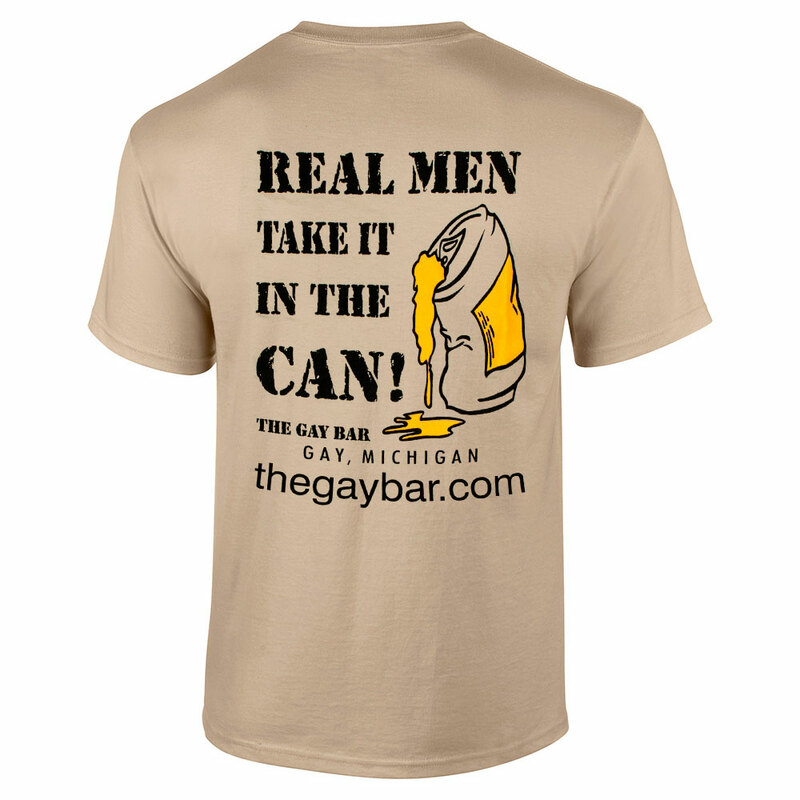 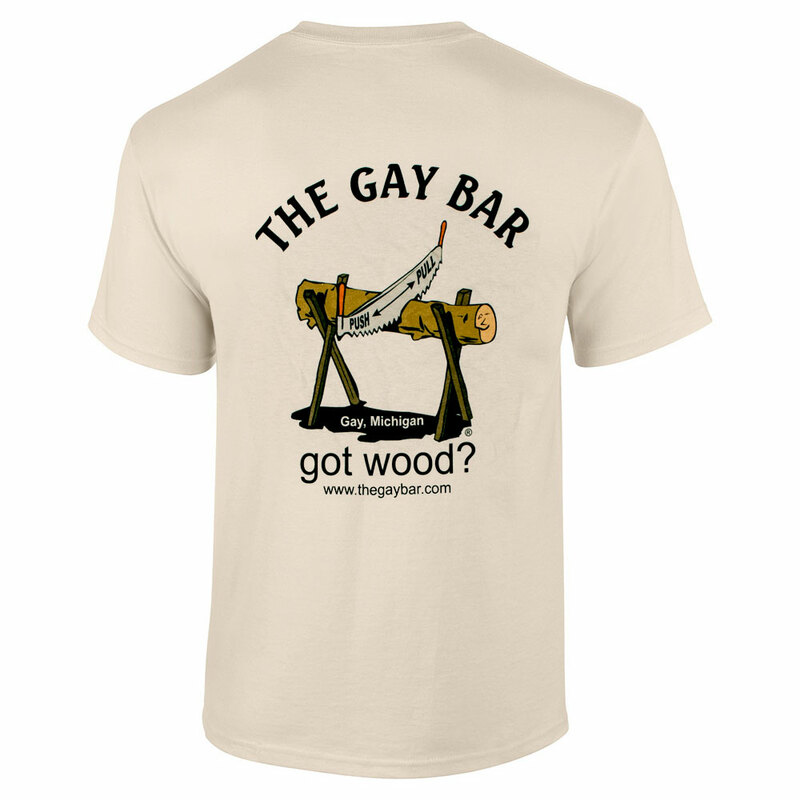 The Gay Bar – Got Wood? 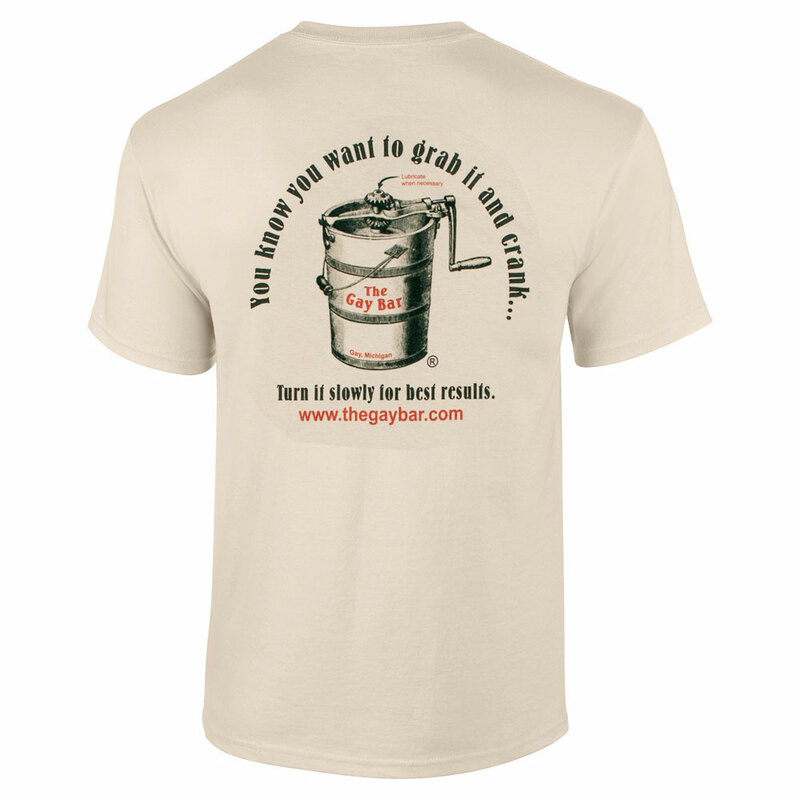 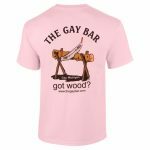 The back of this tee reads, “The Gay Bar, got wood?” and features a crosscut saw that was a staple tool here in the Upper Peninsula during the lumberjack days. 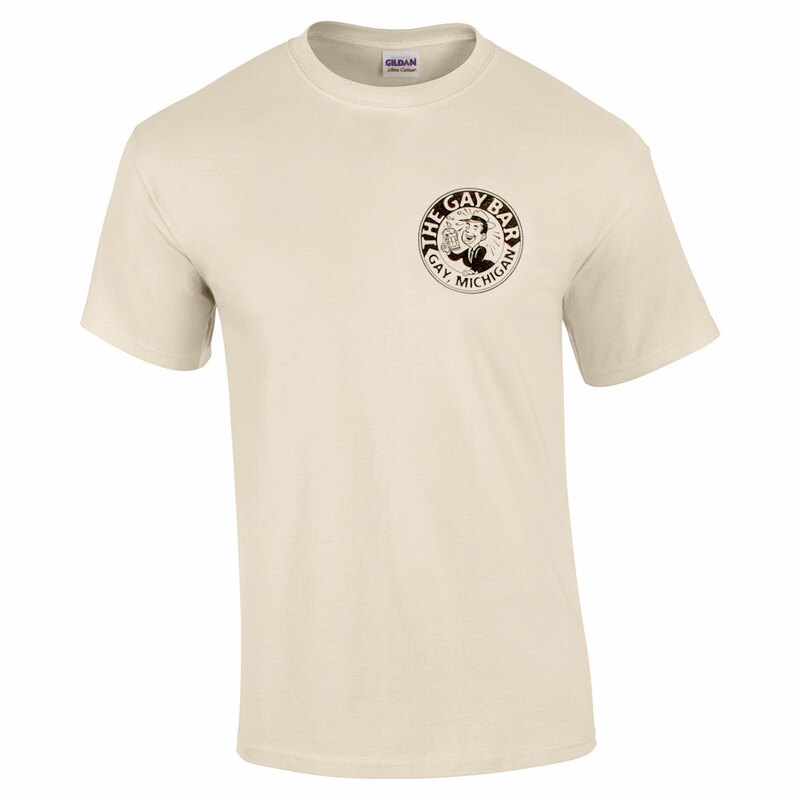 The front features our distinctive small round logo on the left side of the chest. 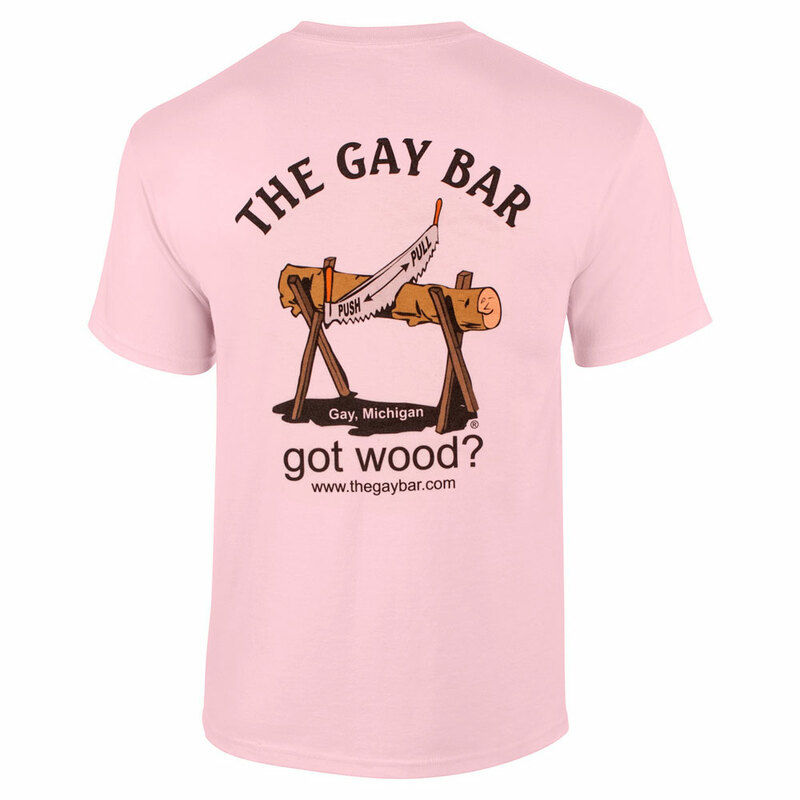 Available in sand or pink. 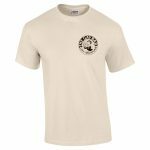 Printed on a Gildan classic fit short sleeve t-shirt.